The Range Rover Hunter model was offered for two years, 1989 and 1991. The 1991 edition, offered as a base model, was aimed at those that wanted the Range Rover’s off-road performance but not the increased cost of all of its luxury features. For the Hunter, Land Rover deleted leather, power seats, ABS, sway bars, fog lights and the sunroof. This made the Hunter a somewhat simpler, somewhat lighter machine. The company found, however, that American buyers weren’t interested in the more utility-minded Hunter. Many languished on dealer lots — only 405 were sold in 1991 model year. Fast forward to today though, where dodgy electrics and worn-out leather seats detract from typical Range Rover Classics, and these deleted items are a boon. This particular truck features an Old Man Emu suspension, NATO steel wheels, and a 4.6L V8 and 5-speed transmission sourced from a Discovery. That engine, however, may be a risky proposition, according to comments on Bring a Trailer. 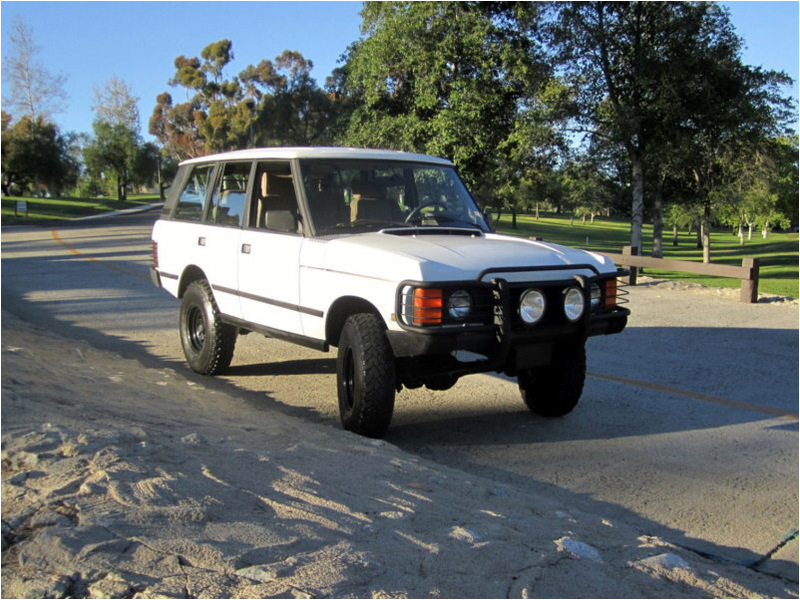 This 1991 Range Rover Hunter clocks in at 156k miles and has currently been bid up $6,050 on ebay without having met reserve. The auction closes on April 3rd.